When opening a retail cannabis store in Alberta, there are many moving parts and regulations to consider. Retailers can cut down on compliance risks by choosing a point of sale (POS) and inventory management system that can track inventory, transactions, and securely store data, all while providing a seamless experience for staff and customers. Here is a comprehensive list of Alberta Gaming & Liquor Commission (AGLC) requirements and how Cova can address each one. 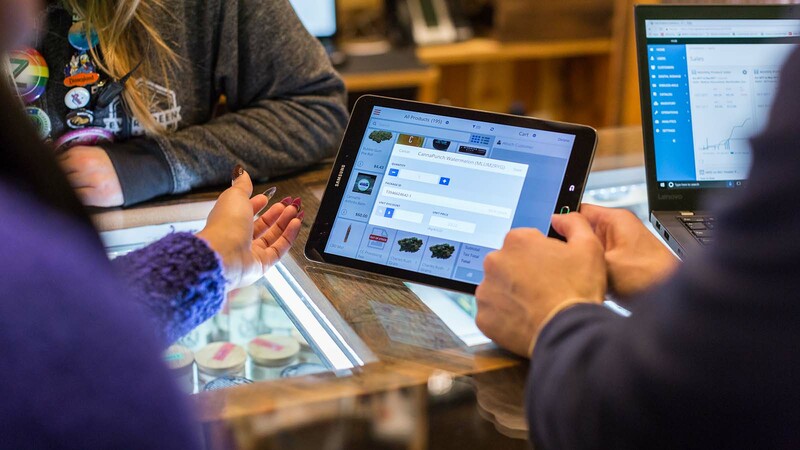 Licensees must maintain a perpetual inventory system for the tracking of cannabis products that includes: point-of-sale tracking; capability to track by both AGLC product and lot number; and data backed up weekly and stored in a secure manner. Cova POS can track every sale and product by both AGLC number and lot number (in Cova this is recorded as a Package ID). All data is backed up at least once daily and is stored on Microsoft’s enterprise security level Azure Platform. All data transmitted by the Cova POS system is protected with industry-standard SSL encryption, preventing theft of our data by hackers or “man in the middle” attacks. Licensees must complete full inventory counts of all cannabis products on a monthly basis or upon the request of AGLC. A log of the results must be maintained and all discrepancies must be reported to the AGLC Inspections Branch within ten (10) business days. Cova customers can stay compliant with Inventory Audits by exporting an “Inventory on Hand” report in excel or csv format. Create an extra column to track physical inventory counts with the audit date, record the quantity of each product, and if a discrepancy arises, adjust it in Cova. All adjustments will be put into an “Inventory Adjustment” report that can be sent to the AGLC. Store the log on the computer or as a physical copy at the store. Cannabis product(s) description and AGLC SKU(s). The Cova POS system easily tracks all of this information in real-time, alleviating the chance of mistakes due to human error and freeing up employee time, all while providing a seamless checkout experience for the customer. Software systems relating to the sale of cannabis products must be backed up weekly; back-up data must be stored in a secure location; and sales records and supporting documentation must be stored for a minimum of six (6) years with the last two (2) years being kept on the licensed premises. With Cova, data is backed up at least once daily to Microsoft’s Azure Platform. It is owned by the client and retained indefinitely, or until the client requests it to be purged. Our customer’s data can be exported and stored on the premises to meet AGLC’s requirement. Complete and submit data to AGLC via digital template(s) on a monthly basis. Accurately complete and submit a Cannabis Retailer Monthly Federal Compliance Report (CRMFCR) to AGLC by midnight on the seventh (7th) day of each calendar month. Cova makes it easy to capture all data required while saving hours of work and eliminating human error. Forego compiling multiple bulky reports, instead simply export all necessary data and upload it to the AGLC system in one click. We know opening a retail cannabis store can be complicated. See how Cova can streamline compliance so you can focus on growing your business. Not sure about the rules and regulations surrounding cannabis dispensaries? Check out the dispensary laws in Alberta.